Many of us probably go on Bitcointalk or Changetip for tips and tricks for Bitcoin and get tipped but what if we wanted to talk about something else? Changetip certainly allows you to share any links that you would like for a fee of 0.0008 BTC and Bitcointalk lets you share everything cryptocurrency related but can you actually find the things you are looking for? What if I wanted to talk about things other than Bitcoin and cryptocurrency but I still want to get tipped from a welcoming community? Whether you want to talk about Altcoins to startups, Zapchain is one of the best platforms to share news, ask questions and get tipped for sharing your thoughts. Zapchain is one of the best candidates for a good social network that supports Bitcoin tipping. With a simple user interface and a nice list of communities for you to join, you can choose several groups that share your interests. After logging in with your Twitter, Facebook or Email and see the yellow and black interface, you have the choice to join the many Zapchain communities that have thousands of bitcoin enthusiasts who sometimes tip people who they think have interesting content, from a range of 20 bits to 13000 bits making it one of the easiest websites to send tips. The many different communities on Zapchain are the reason why people enjoy using it. You could chat with the founder of a small startup or a tech writer who is looking for a new topic, meaning that anyone can join the communities. Zapchain has even gone as far as to allow users to create their own communities for businesses or just interesting topics in general. 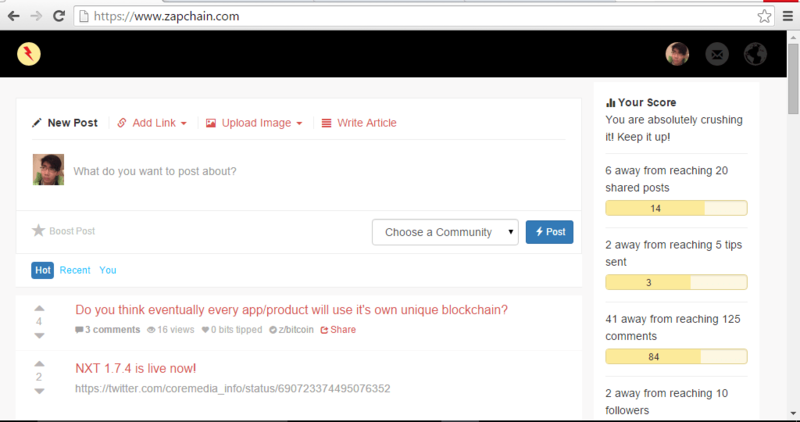 It does not matter who you are or your popularity, Zapchain welcomes anyone to join, post and earn Bitcoin. The goal of Zapchain is to bring people together through common interests. Using Coinbase, Zapchain inserts a “tip” button for anyone to tip the post with just 2 clicks. Tipping is allowed on questions, articles, and even comments and Zapchain allows almost instant withdrawal from their website after you accumulate a minimum of 20 bits. One of the best parts of Zapchain is that if you post a really interesting post or article on Zapchain, you could be included in the daily digest as a featured post. With your post as the featured post section, that means that more people will see it which will increase your views and as well as increase your chances of getting tipped. 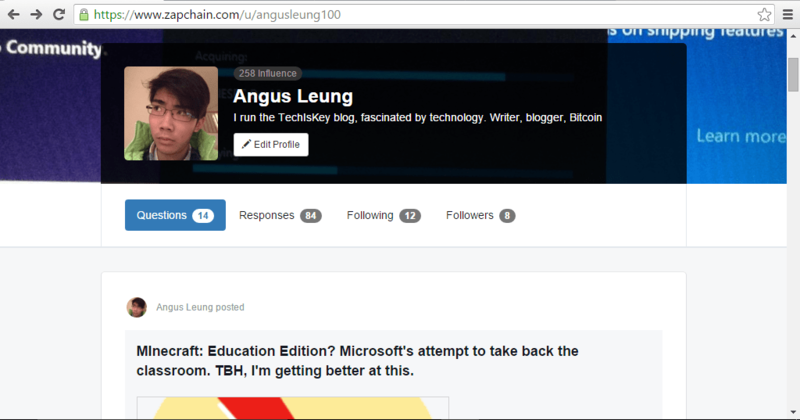 Another thing that separates Zapchain from the rest is the direct messages. Zapchain allows the use of Direct Messages between people that follow you. With a very easy to use messaging feature, I can at least send private messages to specific people, but not tips or images. How is announcing a project launch better on Zapchain? First of all, Zapchain offers a dedicated Startups page for startups and small businesses to share their products and services. Secondly, if you offer a reward to users who have given substantial feedback or support on your product, you have a bigger chance of getting more views on your post and secondly, gain the reader’s interest to actually try out your product and if they like it, they will continue using it. I spend a lot of time on Zapchain’s Bitcoin, Startups and Ask Anything communities and I have met a lot of different people. These people are not as mysterious as the ones that are on forums but instead are friendly and supportive. Since Zapchain allows you to sign in with your Twitter or Facebook profile, your profile gets imported and displayed on your Zapchain profile. I feel like there is more trust in Zapchain than anywhere else and at the same time, I love the easy navigation of the website. I only post occasionally when there is something interesting going on that I think others would enjoy but I am really active in answering people’s questions and giving feedback on ideas. With Coinbase integration, it is actually really fast at transferring funds from your Zapchain wallet in Coinbase to another Coinbase wallet. 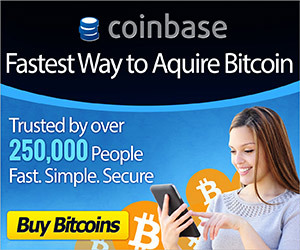 Last time I tried, it took me about a minute to transfer 250 bits to my Coinbase with practically no transaction fee. Are you going to stare at your screen or what? Join now! WANT TO EARN UNLIMITED BITCOIN A DAY ? OKAY HERE YOU CAN EARN BITCOIN EVERYDAY AUTOMATED WITHOUT DOING ANYTHING. JUST DOWNLOAD INSTAGRAM AND YOU CAN START. HERE THE LINK http://t.me/RobotCashBot?start=cwxmxFOe DONT WASTE YOUR TIME. START NOW OR NEVER.